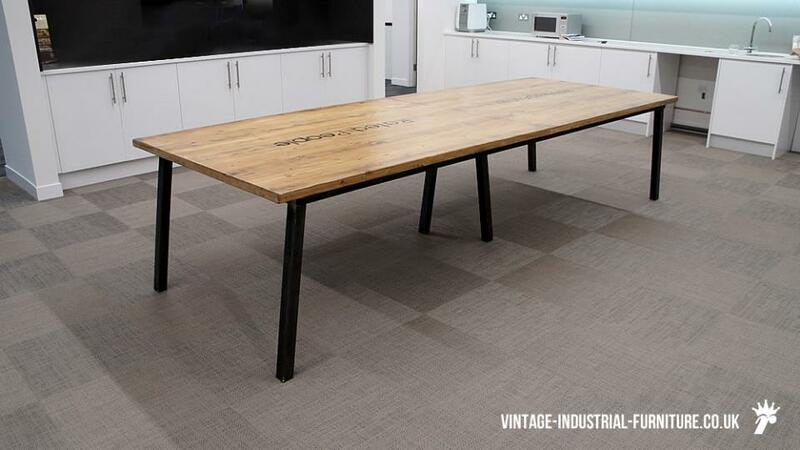 A vintage industrial office table such as this one can create a "wow factor" for an otherwise dull office space. 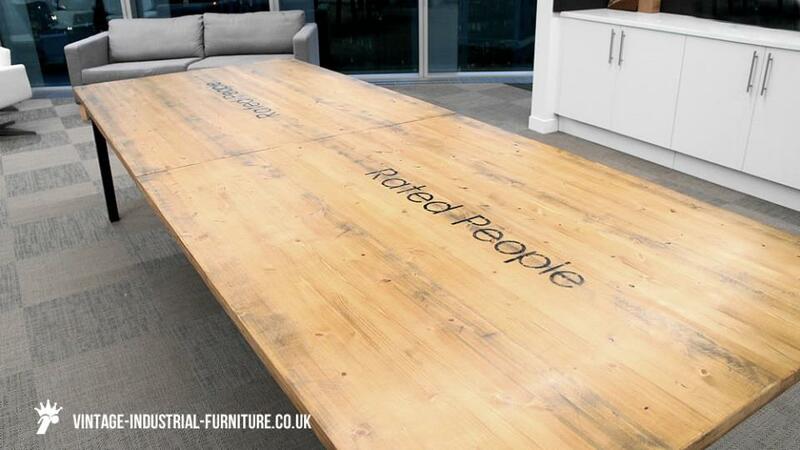 The piece is available with or without stencilling of your brand logo. 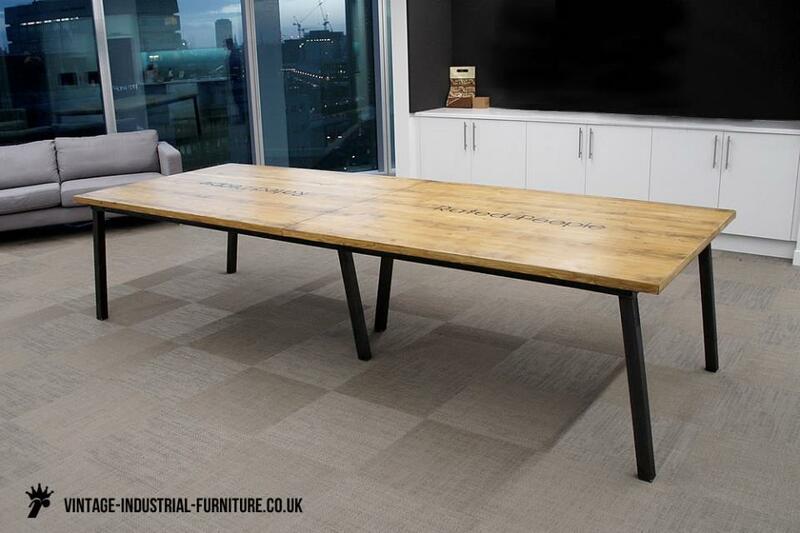 Even if the remainder of the office is fitted with crisp white desks and cupboards, you can be sure to inject a contemporary, youthful atmosphere with our large vintage industrial office table. We offer a variety of top finishes and materials and also base styles and configurations. 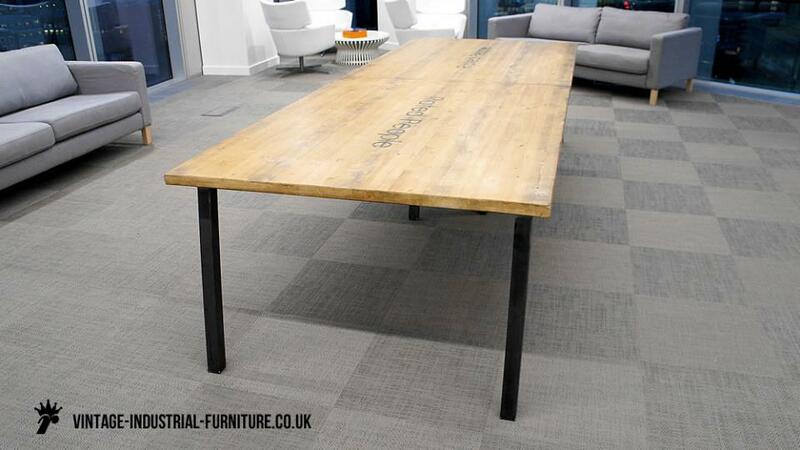 The example of our large vintage industrial office table shown has additional central supports for added rigidity. 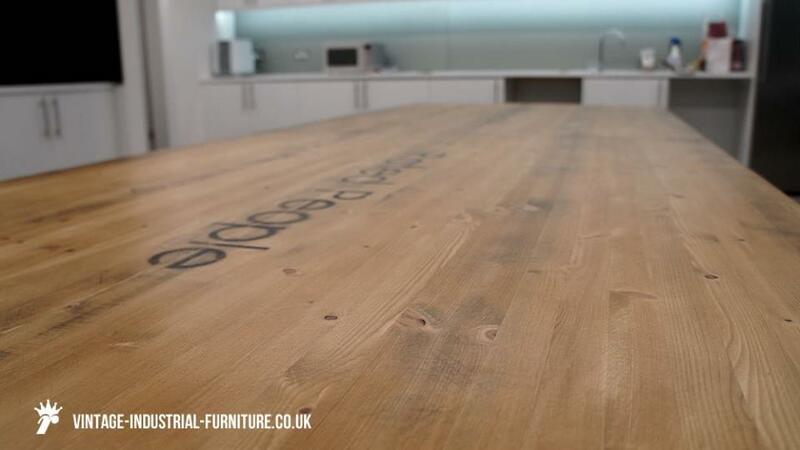 Many, many pieces such as this one have been supplied by us to offices and other environments. Should you wish it, this product can be suppplied with cable management features. This can range from cable risers, trays to simple wooden capped grommets. 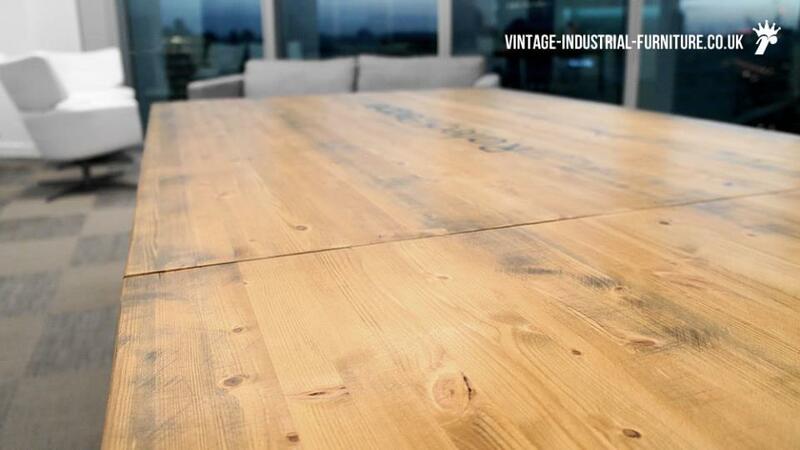 Conveniently, the tops of our large vintage industrial office tables are made in two halves. This, combined with frames and legs which can be disassembled, makes installation and subsequent movement easier. 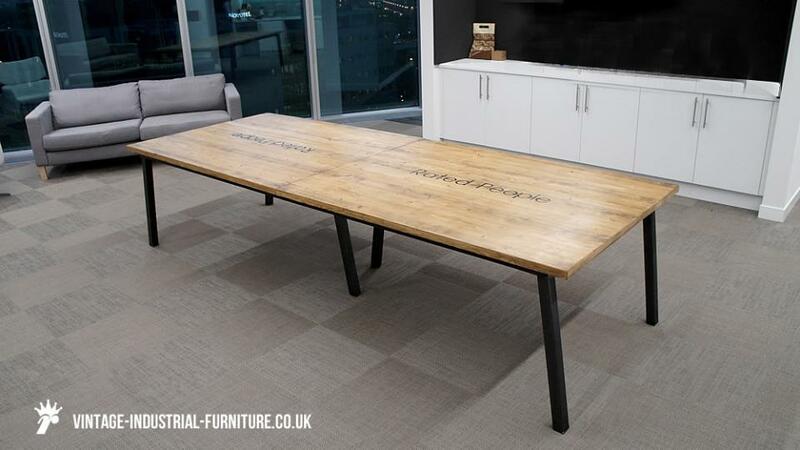 Vintage office tables can bring a welcome element of warmth to an otherwise sterile office environment. 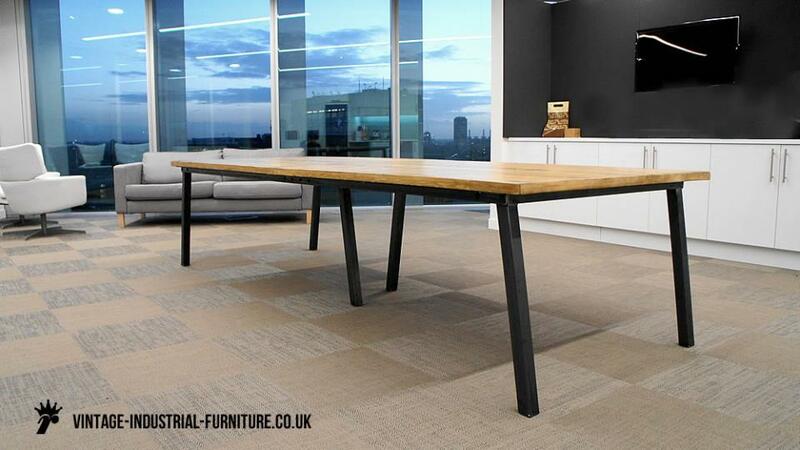 Available in a range of colours and styles, our vintage office tables can be made to order.